Hey Guys! 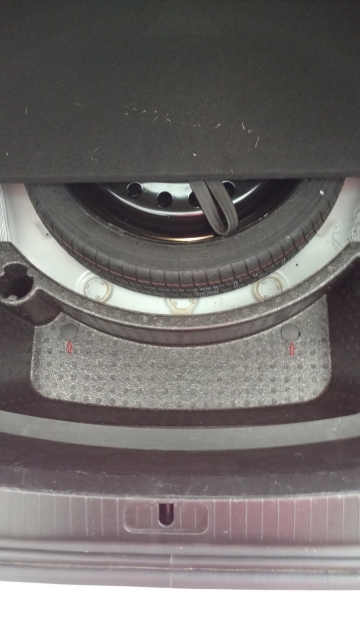 My 2015 Cadillac XTS did'not come with a Spare Tire and i found one with Jack componets on Ebay! 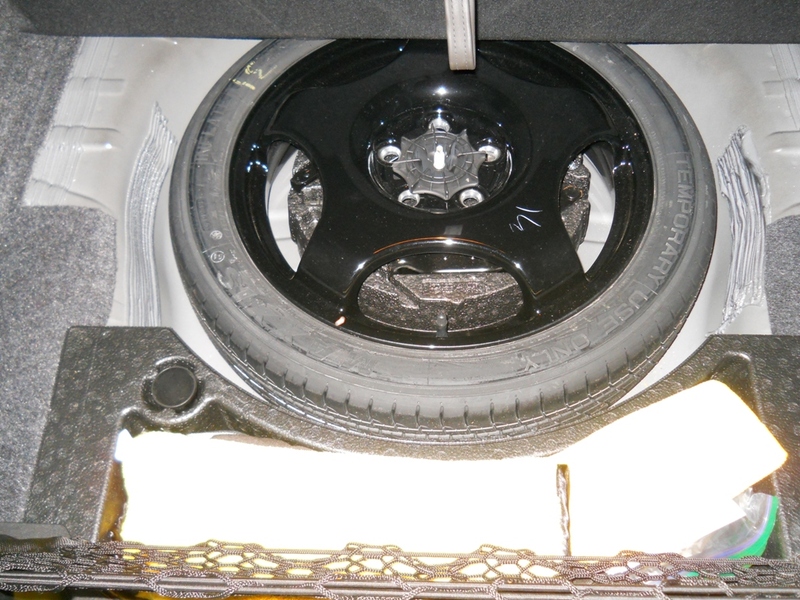 i would like to find the trunk mounts for the donut spare tire to store in the trunk! Any ideas???? Re: Trunk Spare Tire Mount! As there are about 3 threads on this subject on the go, you may want to Search this forum. You can get them at GM Parts Direct. They sell a spare tire kit for a little over $300 that comes with everything that you need. I just purchased one of these kits and they are about $400 fyi. I had to remove the styrofoam piece that held the compressor. 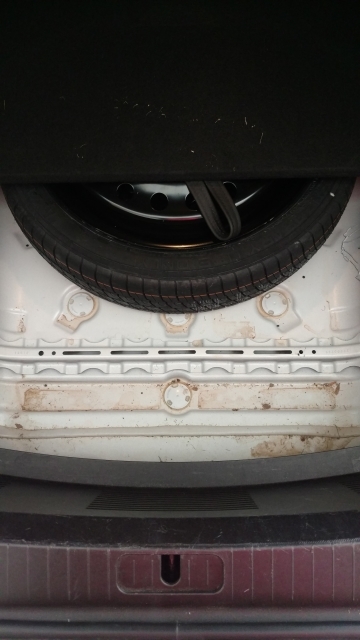 Is there a replacement piece that the tire fits into or just the steel cased trunk? I was thinking of even cutting up the piece I removed and make that work. Oh wow. I'm getting ready to purchase one too. Guess it's going to be a little more than I thought! lol How did you remove that styrofoam piece? Did you have to remove the trunk trim? I briefly tried to take it out but it seemed like it was pretty secure in place. It looks like the tire just fits into the well under where that styrofoam piece sits. Someone who's car came with the spare sent me this picture. 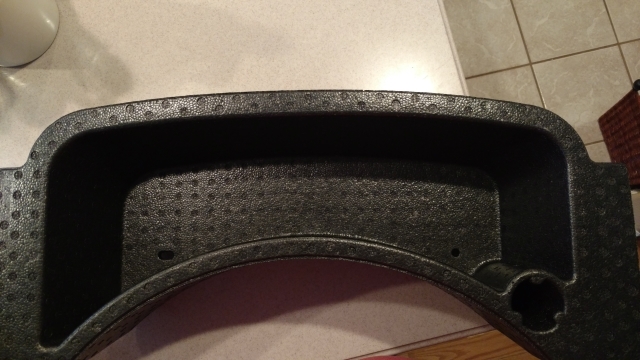 GM Parts Direct shows a part that looks like the smaller storage area that is in front of where the tire sits. It's part # 23113667. Put that in the search feature there. It looks like the part that we need. And it's only $37! Max, I pulled the compressor out. Popped the two retaining clips just to the rear of the compressor area. Took out the two torx head bolts that hold the u-bolt attachment points on the vertical area on the rear. Removed the rear most trunk trim and the styrofoam piece came out. Thanks for the part #. I will search for it before I hack up my original piece. I just ordered that part Max. They wanted $22 frt on top of the price. I ordered it from GMPartsCenter.net. That brought it to about the same price as the local Cad dealer. Yikes. Oh good! It looked like the part in the picture. Let me know how it comes out. I'll probably order it next week. It was an option so you were lucky! I just ordered mine too. They said it will probably be in next week. Did you get yours yet? Received mine today and installed it. I didn't have to take the torx held u-bolts out in order to slide it in though. First pic is what it looks like. 2nd pic is where it goes and third is installed. Note the plastic retainer clips that hold it in (red arrowed). All is good. Congrats & thanks for the pics! So do those little plastic retainer clips come with the the little compartment? It might just be the angle but the 1st pic that I posted, everything looks closer together. Does everything fit snug?